I'm not flats kind of girl, but there are some days when heels are not an option. I wear them very rarely, so I don't spend on them much. I have on my mind to get some flat shoes, I haven't much looked for, but whenever I'll see something pretty and not expensive I'll get. Or maybe I once again change my mind and add some extra to by heels. That jacket is so elegant, and the flowers make the pictures all the more beautiful! You look so lovely! I can relate to you - I am also a heels kind of gal! 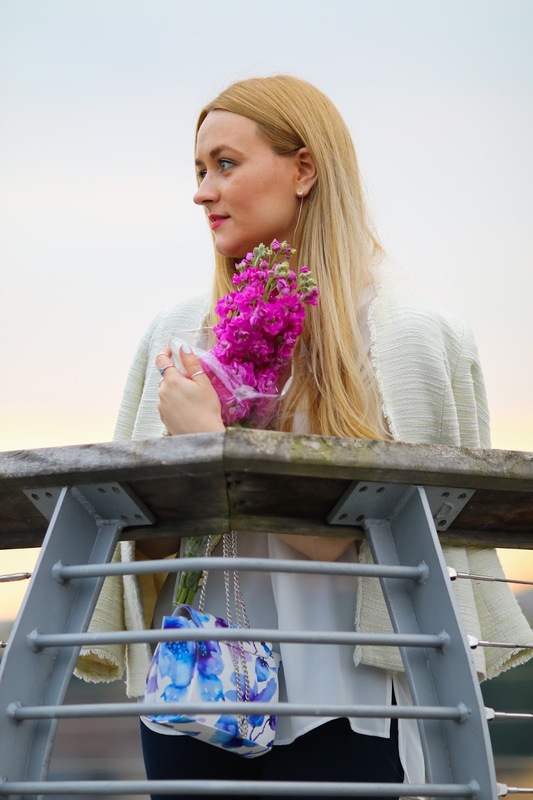 Come see how I welcomed Summer in a boho-inspired look this week at the blog – Happy Monday!! Gorgeous photos! I love your bag! Hope you can check out my last post! Kiss! Cute outfit! Love that handbag! Love this!! I'm not a flats kinda girl either, but i think you just found the best pair I've seen in a while!! Sometimes a good flat sandal is just what you need! Love these! I am a heel girl myself, but those flats are too cute! I must say I like you also with flats! And as usual you created not only a perfect outfit - you look also adorable and I love love love the wonderful pictures! Enjoy this week, dear Ramona! I used to be a 100% heels girl until my work load was so insane and required a lot of travel and "on the go" (aka on my feet) time :) I started to bring flats along and got converted lol. You have no idea how excited I am about the hype around wearing sneakers with everything <3 So up my street! Love the sandals you picked, loved & the outfit is beyond gorgeous. That H&M jacket is such a beauty <3 Looking gorgeous, hon. The flowers add such a lovely touch! 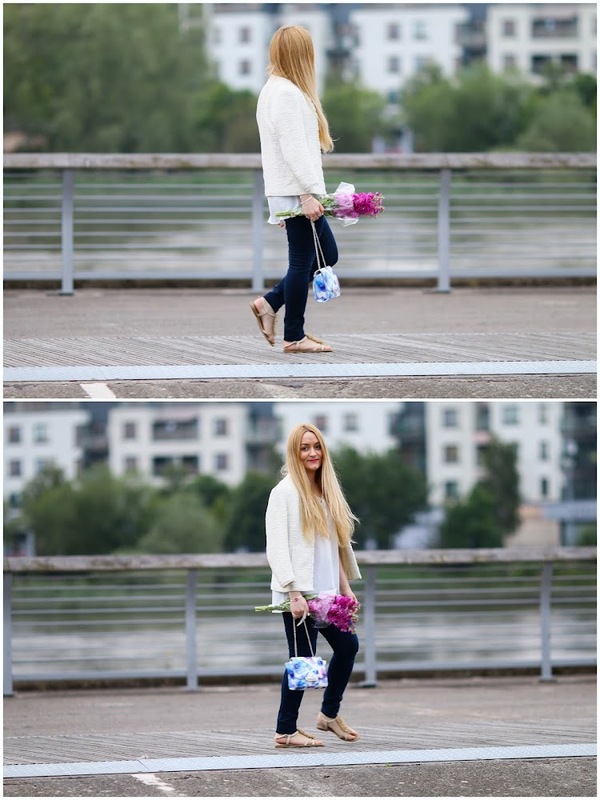 Love that bag and those flowers! You looks so pretty! Love your hair dear! I'm also a heels kind of day. I tend to only wear flats when I run around the town. Such a beautiful photos and outfit! You are stunning and absolutely amazing! Love the flowers!